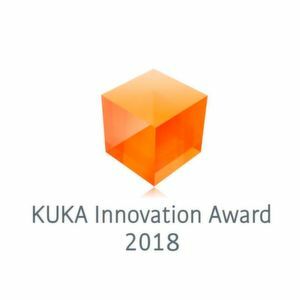 The finalists for the 2018 KUKA Innovation Award have been chosen. An international jury of experts selected the five best concepts addressing this year’s topic: the “Real-World Interaction Challenge”. The finalist teams now have until April 2018 to implement their ideas. At next year’s Hannover Messe, the winner will be awarded the 20,000- euro prize. The focus of the current innovation competition is the interaction of a robot with a complex, non-industrial environment where humans are at center stage. Nearly 30 teams from around the world entered the contest with ideas for tackling challenges in service robotics and other fields. “KUKA has selected a very forward-looking topic, as service robotics is growing in importance,” says Dr. Bernd Liepert, Chief Innovation Officer at KUKA AG and patron of the competition. Team Alberta: The Robot Vision research group from the University of Alberta is working on image guided motion control of robot arms and hands. This team is implementing processes that allow the robot to learn from humans by means of observation, gestures and dialog so that future robot systems will be able to work with humans even in unstructured environments. The goal is for the robot, with this acquired knowledge, to be in a position to grip various everyday objects, workpieces and components and to sort them independently, even if new, unknown objects are included. Team CRoW: The team from the Institute for Computational Design and Construction at the University of Stuttgart combines expertise in algorithmic geometry and the development of robot-based material processing systems. In this project, it aims to provide small and medium-sized companies with access to robot-assisted methods of work. The concept comprises a collaborative robot workbench with an augmented reality interface. The project will demonstrate a woodworking scenario in which a robot assists a human. Team Co-Aware: The project brings together experts from the Istituto Italiano di Tecnologia in the fields of dynamic human modeling, image processing and robot interaction control. Its objective is to deploy robots to support and guide humans in laborious industrial processes in order to ease the strain on them and prevent injury. When collaborating with a human, the robot monitors the dynamic performance and mental condition of its counterpart. Team DynaMaP: The employees of Draper, a non-profit R&D organization, the Robot Locomotion Group at MIT and the Agile Robotics Lab in Harvard, aim to show that robots can orient themselves and execute tasks in unstructured environments. For this, the team uses neural networks to determine the positions and interactive dynamics of objects in the environment. The team’s developments are demonstrated by means of a maintenance task that is typically carried out by a human. Team UPEnD: Four researchers from the University of Pennsylvania combine their expertise from various robotics disciplines ranging from image processing and manipulation planning to system integration. The team is tackling the challenges facing a robotic system working with containers filled with liquids and used for exact dosing, for example in the pharmaceutical industry. The robot is controlled using sensors on the robot arm and two stereo cameras. In April 2018, the five finalist teams will present their projects to an international specialist audience at Hannover Messe. There, a jury of experts will crown the winner and award the 20,000-euro prize. KUKA provides each finalist team with a KUKA flexFellow and a KUKA LBR iiwa. The flex- Fellow is a mobile robot unit upon which an LBR iiwa, a sensitive lightweight robot for safe human-robot collaboration, is mounted. Beyond this, a 3D vision sensor from the start-up company Roboception will be available. KUKA launched the research competition in 2014 to promote innovation in the field of robot-based automation and to support technology transfer from science to industry. Itis aimed at developers, graduates and research teams from universities or companies. The participants develop ideas for tackling challenges specified by KUKA. A jury of experts selects the finalists from all of the entries submitted. The finalist teams implement their projects using KUKA hardware and present the results to wide-ranging specialist audiences at major trade fairs. In doing so, KUKA provides the teams with the opportunity to showcase their work in a professional trade fair environment. At the end of the trade fair week, the jury of experts crowns the winner. The award was first presented at Automatica 2014.